Out of the parlour: Beautifully thoughtful performances of songs spanning high and low culture. 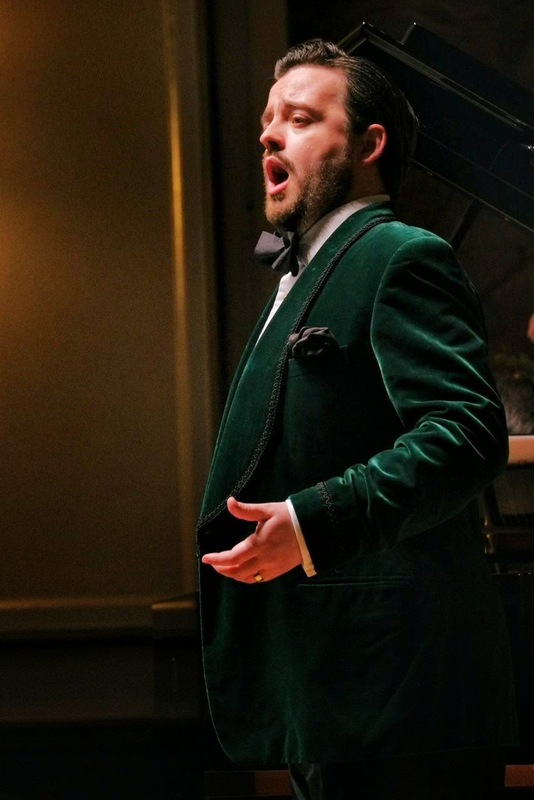 Ben Johnson's Rosenblatt Recital at the Wigmore Hall on Wednesday 8 April 2015 explored songs which were written in the late 19th and early 20th centuries, works produced by composers in the intersection between popular and high culture, the well made lyrical song. The composers were all, with one exception, perceived as in some way British. Accompanied by James Baillieu, Ben Johnson sang song cycles by Francesco Paolo Tosti (naturalised British) and Respighi, plus songs by Parry, Stanford, Elgar, Sullivan, Eric Coates, Michael Head, Herbert Hughes, Amy Woodforde-Finden and Liza Lehman. This is repertoire which requires a strong technique to be done well and is often neglected partly through being badly performed or not taken seriously; errors which Ben Johnson certainly never made. He lavished the same care on the songs as any in his repertoire, and most responded beautifully. Ben Johnson and James Baillieu opened with Tosti's cycle of five songs setting Gabriele d'Annunzio, Malincolia, written in 1887. The melancholy of the title being elegant rather then depressive with a suggestion of stylish posturing from d'Annunzio. Dorme la selva had a long slow line which Ben Johnson caressed and shaped making something highly expressive with clear words. Perfect of its style and of great beauty in the combination of song, performance and voice. Ben Johnson had a lovely low-centred lyric tenor voice with dark hints. He is becoming known for the Italian operatic repertoire and his technique has Italianate elements but without the glare and wide open tones which can sit uneasily on the concert platform. Quando'io ti guardo was more urgent, rising to fine passion. L'ora e tarda combined a lyric piano line with a more conversational vocal line, finely shaped by Ben Johnson. Or dunque addio developed from conversational to real passion in a way which reminded me perhaps of Puccini-lite. Chi sei tu che mi parli was slower and darker, the lovely melody when it finally came was given an Italianate feel, but beautifully controlled without belting. Parry's setting of Shakespeare's sonnet number 71, No longer mourn for me when I am dead, was quite a surprise. Here was more melancholy love but the song was fast and urgent though it has to be confessed that I could not always follow Ben Johnson's English words. Would I have guessed the composer was Parry? Perhaps not. Stanford's A soft day was more obvious but lovely. It sets a poem in Irish traditional style by Winifred Mary Letts. A quiet, thoughtful song which responded to the care that Ben Johnson and James Baillieu gave it. Dating from 1908, Elgar's Pleading was distinctly sentimental and parlour-ish though with a familiar Elgarian cast to the melody. His song Is she not passing fair, setting Charles, Duke of Orleans and dating from 1886, was more vigorous and virile getting a quite strongly dramatic performance from Ben Johnson. The performers finished the first half with three songs by Respighi. Nevitica setting Ada Negri dated from 1906 and was calm but intriguing. Pioggia, setting Vittoria Aganoor Pompilj and dating from 1909, had a lovely rain effect in the piano and quite patter-song like vocals. Both songs seemed a little undercooked, as if they needed a more robust, traditional Italian tenor manner with less subtlety to bring the music out. Respighi's Nebbia setting Ada Negri (1906) was altogether a stronger song; dramatic and striking there was real power in Ben Johnson and James Baillieu's performance. Their second half started with Sullivan's The Lost Chord with the performers taking the song seriously and not over-doing it. Eric Coates' I heard you singing, from 1923, set words by Richard Rodney Bennett's father. A very evocative song, the shape of the melodies was familiar but it seemed a little long-winded though Ben Johnson gave a lovely direct performance which conveyed the song well, finishing with a lovely mezzo-voce at the end. Coates' song Betty and Johnny was more of a comic tale, and rather suggestive too, with Ben Johnson full of knowing charm. Michael Head's WH Davies setting, Money, O! (from 1926) was passionate and angry. Head's The Little Road to Bethlehem (from 1945 and setting Margaret Rose) was beautifully understated and quite old-fashioned for its date. Herbert Hughes' The Stuttering Lovers (1906) was delightful but the stuttering seemed to be slightly off-key for modern tastes even in a comic song. Amy Woodforde-Finden's Four Indian Love Lyrics set pseudo Indian words by Adela Florence Nicolson. They are sentimental, but lovely too and Ben Johnson and James Baillieu gave us two of them. Kashmiri Song is the best known (Pale hands I loved beside the Shalimar); I have known the song for 30 years but rarely, if ever, heard it in concert. It has a lovely tune, to which Ben Johnson gave a sense of spreading out endlessly with a subtle beauty of line. Till I wake was nicely restrained and well put over. Liza Lehmann's 1909 setting of Hilaire Belloc's cautionary tale Henry King was a complete comic delight and received a superb dead-pan delivery from Ben Johnson. (The song concerns a little boy who dies from chewing bits of string!). Lehmann's If I built a world for you (from 1906, setting Herbert Fordwych) was more conventional and sentimental. Two more Coates songs finished the recital. Tell me where is fancy bred (from 1912, setting Shakespeare) was straightforward but finely constructed, and the two performers concluded with a vibrant and urgent performance of Rise up and reach for the stars. We were treated to two encores, Thomas Dunhill's WB Yeats setting The Cloths of Heaven and RVW's Orpheus with his lute.